For all of you that are a bit behind on finding your mom a present for mother's day, in stores only Bath and Body Works is currently having an amazing sale, three 3-wick candles for $30.50. 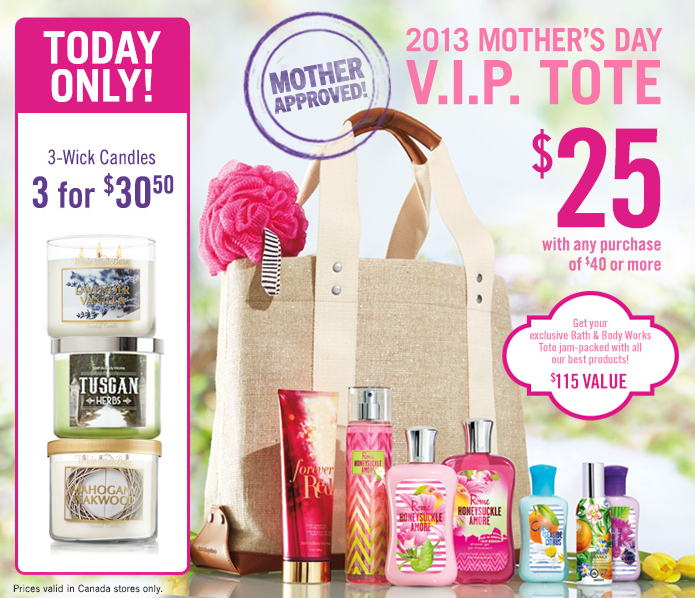 Plus if you spend over $40, you can get a mother's day tote for $25 that is estimated to be $115 value. She is your mother after all so what's an extra $25 for the woman that gave birth to you?